Medical evidence has concluded that if you spend a lot of time in bed or sitting in a chair you may develop pressure ulcers or bedsores as they’re commonly called. Bedsores can be painful and uncomfortable and if left untreated they can get infected. There are various ways to manage bedsores such as repositioning yourself, using a special cushion or mattress and you can apply cream. 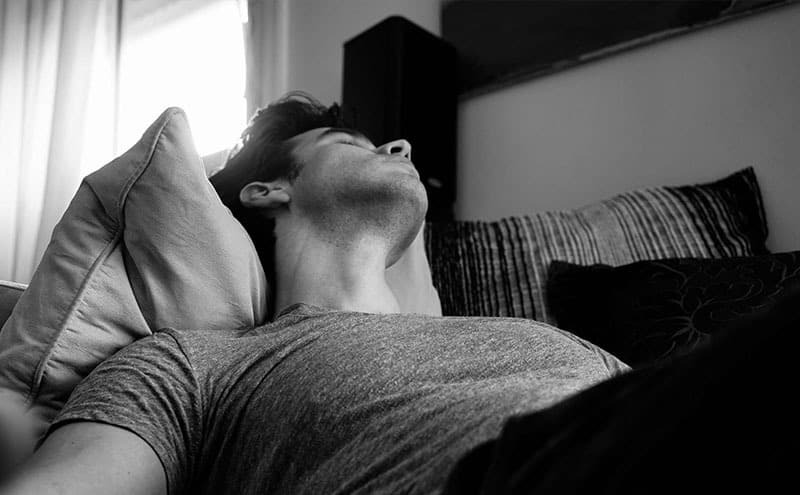 Bedsores commonly occur on the buttocks, shoulder blades and spine when people are lying down. They can also develop on the back of the head, arms and legs as well as the heels. The first thing you should do if you have one or more bedsores is to consult your doctor for medical advice. Many years ago my father was hospitalized for a long period of time and he developed a number of bedsores. The nurses frequently turned him to provide some relief and they also applied cleansers and creams. When the sores had healed he continued to use the cream as a preventative measure. A 100% natural antiseptic healing cream heals and soothes severe skin irritations including bed sores. Antiseptic ointment used for open wounds and bedsores. Containing iodine, betadine kills infecting organisms. Antiseptic free ointment that treats all wounds and sores. Beneficial microbes thrive and battles harmful bacteria. Relieves infection and improves the sores within 48 hours. Antibacterial ointment reduces inflammation. Contains minerals including volcanic clay, silver oxide and zinc to increase absorption and speed-up efficacy. Who Needs to Use Cream for Bedsores? Anyone who’s got one or more bedsores can apply cream to help with the pain and inflammation. Using a cream should alleviate some of the pain and discomfort that’s associated with bedsores. The cream will also soothe the skin so that you’re more comfortable. They say that prevention is better than cure and you can also use a cream to prevent bedsores from developing in the first place. If you know that you’re going to be sitting in a wheelchair for long periods or lying in a bed you can apply creams. Using the cream alongside a hygienic soap will also help to keep bacteria at bay. Even when your bedsores have healed you can still benefit from using a cream as a preventative measure. Bedsores can reopen and using a decent cream may help to protect the damaged skin. Many of the creams will moisturize the skin which is also useful when you’ve previously suffered from bedsores. The elderly are particularly prone to bedores and can benefit from using cream. As we get older we may not move around so much and may spend more time sitting or lying down. Our skin also deteriorates as we age and applying cream to vulnerable areas of the body is beneficial. It’s worth noting that as well as using the cream you should also make sure that the bedsores are kept clean. Always wash the area to be treated before applying the cream to get the best results. If you’re confined to a bed it’s also important to regularly change the bed linen for hygiene purposes. How Does Cream for Bedsores Work? The creams that are used to treat bedsores offer a number of benefits and the main one is preventing infection. Using an antiseptic or antibiotic cream will help to keep an open or closed bedsore clean. The cream also fights harmful bacteria which can get into a wound and cause problems. The cream will also soothe the bedsore so you’re more comfortable when sitting or lying down. A closed bedsore can be itchy and the cream will calm the itch so you don’t scratch it. Open sores can also weep and cause irritation and a good cream will help to control this discomfort. Some of the creams will also stimulate blood flow which may help with the healing process. Good blood flow will promote healthy skin growth which is necessary for bedsores to heal properly. Many of the creams that are used on bedsores will also moisturize the area around the actual sore. This’ll prevent the skin from drying out and will keep the skin soft and supple. Regular moisturizing with the cream may also help to prevent further bedsores developing. A decent cream will also seal an open bedsore and provide a barrier so that dirt, bacteria and sweat doesn’t get into the wound. If you are sitting or lying in one position for long periods you are going to perspire. If sweat and bacteria gets into the wound you’re at high risk of infection which could lead to further complications. How Do I Choose Cream for Bedsores? Look for a cream that’s going to prevent infection so that further complications don’t arise. The majority of creams contain antiseptics or anti-bacterial formulas to fight off infection. Some of the creams also stimulate the body’s natural microbes to fight harmful bacteria which can cause infections. It’s worth looking for a cream that also moisturizes the skin so that you’re more comfortable. In some cases bedsores will cause itching and a good moisturizer will help with this. The last thing you want to do is scratch the area around the sore as this could lead to the wound opening up and getting infected. Before you buy any cream have a look at the list of ingredients used to make it to ensure that it’s suitable for you. Some people may have allergies to some of the active ingredients used in the creams. If you’re allergic to an ingredient and you use the cream you could have a bad skin reaction which needs to be avoided. Chose a cream that’s not going to stain your clothing which may then be difficult to remove. The ingredients and dyes in some of the creams will cause staining and you should be aware of this. The colorings and ingredients could also stain your bed linen or chair which needs to be avoided. Use a cream that’s easy to apply and one that doesn’t leave a residue that’s difficult to remove. Most of the creams are in squeezy tubes or pots and are easy to apply to the bedsore. It’s important that the cream is easy to wash off so that the bedsore and surrounding skin can be properly cleaned. Use a cream that prevents infection. Use a cream that also moisturizes the skin. Buy a cream that doesn’t stain clothing. Check the ingredients used to make the cream. Use a cream that’s easy to apply. Buy a cream that’s easy to wash off. What Is the Best Cream for Bedsores? We’ve looked at a number of creams that can be applied to bedsores and have selected five products. The main things we looked at were price, quality and the effectiveness of the cream for treating bedsores. We reviewed five creams and highlighted some pros and cons for each one. 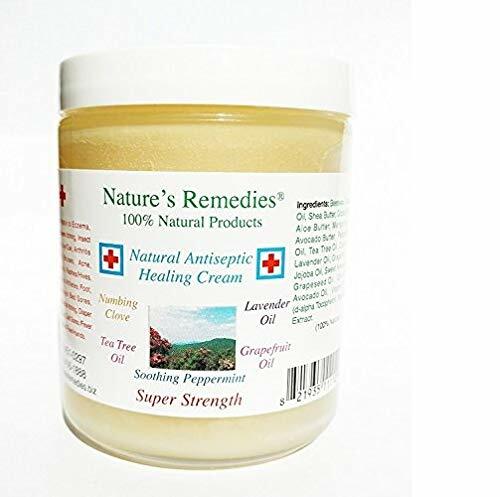 This natural antiseptic healing cream made by Nature’s Remedies is suitable for treating bedsores and various skin conditions. The cream provides some pain relief and it helps to prevent infections whilst soothing the skin. The pots of cream are available in four size options and the product is made with natural ingredients. Customers who purchased this cream say that it’s very effective for treating bedsores and their pain levels are much lower. People liked the fact that the cream is smooth, easy to apply and not too greasy. Customers also said the cream has good moisturizing properties and their skin was softer. A few people who applied this cream said they felt an unpleasant burning sensation and it made their skin tingle. Customers commented that the cream has a very strong odour which is unpleasant. A couple of customers also said that the cream was difficult to wash off their hands after application. Hard to remove from hands. This antiseptic ointment made by Betadine is suitable for treating a variety of open wounds and bedsores. The ointment contains iodine which kills bacteria to prevent infection in the sores. The ointment does not irritate the skin and it comes in a handy sized 25-gram dispensing tube. Customers who purchased this antiseptic ointment said that it was effective in treating their open sores. People said that the ointment is very easy to apply and it stays where it’s put. Customers particularly liked the fact that the ointment isn’t greasy making it suitable to use underneath a sterile dressing. A few customers who used this antiseptic ointment said that it didn’t seem effective when treating their sores. Customers also said the ointment leaves a sticky residue on the skin when applied. A few people reported that the ointment has badly stained their clothing. 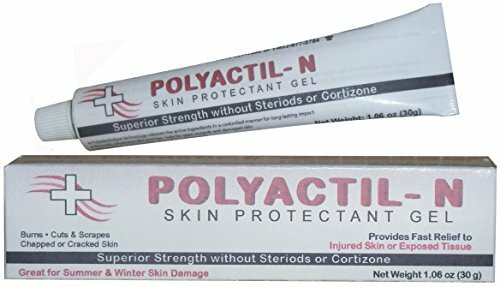 Polyactil-N made by Med-Actil is suitable for treating open and closed wounds including bedsores. The active ingredients in the cream target the body’s natural microbes which then battle harmful bacteria to prevent infection. The cream contains no steroids or antibiotics and is also non-staining. Customers who used this cream to treat bedsores said that it promotes good healing and their bedsores were better after using it. People also said that the cream provided excellent relief from the pain associated with bedsores. Customers also like the cooling effect from the cream which helps to soothe the skin. A few customers who used this cream said it didn’t work well on their bedsores. A couple of customers also said that their sores got worse after they had applied the cream. A couple of people had a bad skin reaction after applying the cream to a bedsore. Not effective for some bedsores. 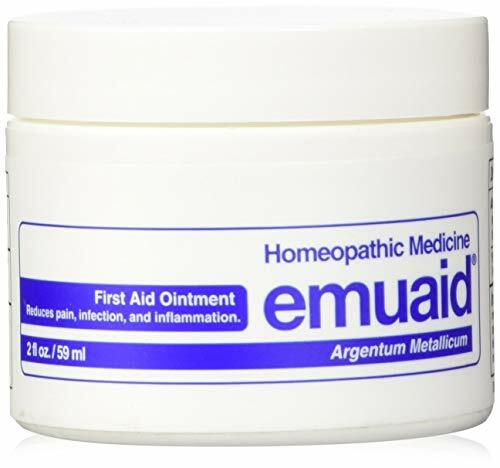 This bedsore treatment made by Emuaid is a cream that’s specifically designed to treat bedsores. The cream helps to prevent infection and itching as well as providing some pain relief. The cream also stimulates blood flow which helps to promote the growth of healthy new skin to aid the healing process. Customers who purchased this cream said that their bedsores began to heal two to three days after they applied the cream. People also said that the cream provided very fast pain relief and it soothed their skin. Customers also liked the fact that the cream doesn’t stain clothing like some of the other products that they’d used. People who used this cream to treat bedsores say that the cream is much too thick and it’s also very greasy. A couple of customers who applied the cream said that it burnt their skin and they had to stop using it. Customers also said that the cream has a very strong smell that’s unpleasant. 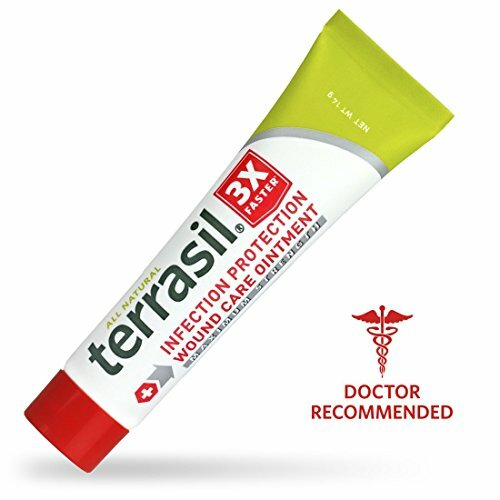 With the strongest of antiseptics, this cream will destroy even the toughest of bacteria while speeding-up the healing process of the bed sores. Including activated minerals such as silver, magnesium and zinc oxides plus volcanic clay, this cream helps to improve skin condition. It can kill bacteria up to three times faster than most of the other brands on the market. This helps to reduce infection, eliminate inflammation and soothe soreness. When applied to the skin, there is no irritation or pain. Improvements are seen within the first week of use and reduce the chance of future scarring. Backed with 10 years of research. Kills bacteria 3 times faster than other brands. All of the creams that we’ve looked at can be used to treat bedsores and they all provide some relief for sufferers. None of the creams contain any harmful chemicals and are all easy to apply. After looking at all of the creams in some detail the best cream for bedsores is Nature’s Remedies Natural Antiseptic Healing Cream. This cream is very reasonably priced and it’s available in four different quantities to give customers a choice. The cream prevents infections, provides some pain relief and it also moisturizes the skin. We also like the fact that this cream is made from natural ingredients which should minimize any side effects.